I owned the original Blaster Master back when it was released on the NES. It launched in the US in late 1988, but the UK didn’t get it until April 1991, by which point I was already fully aware how amazing it was thanks to import reviews in various British games magazines. Those reviews didn’t lie. 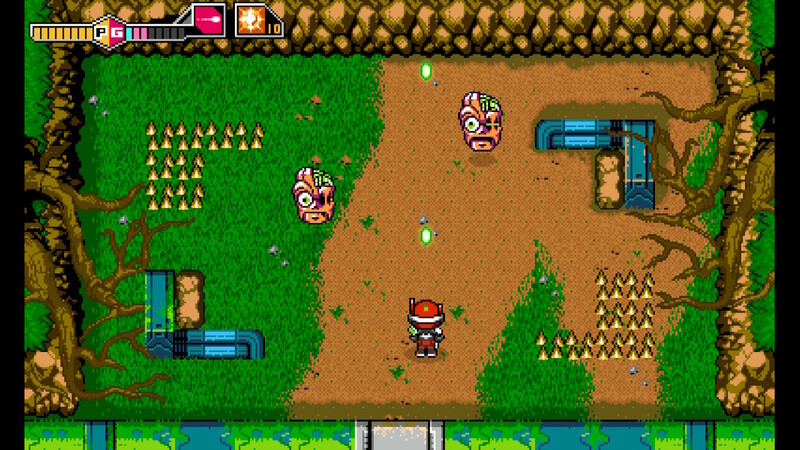 Blaster Master was such a revolutionary game for its time that even if you were to play it now it would fit right in with the slew of 8-bit style indie offerings you see these days. 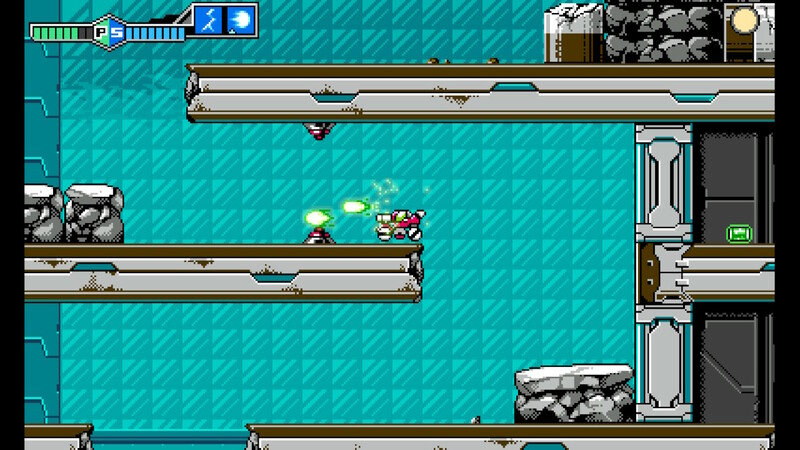 Of course, now you don’t need to play the original, because Blaster Master Zero is here courtesy of Inti Creates, the brilliant 2D-focused studio responsible for the likes of the Mega Man Zero series on GBA, Mega Man 9 & 10 and the Azure Striker Gunvolt games. 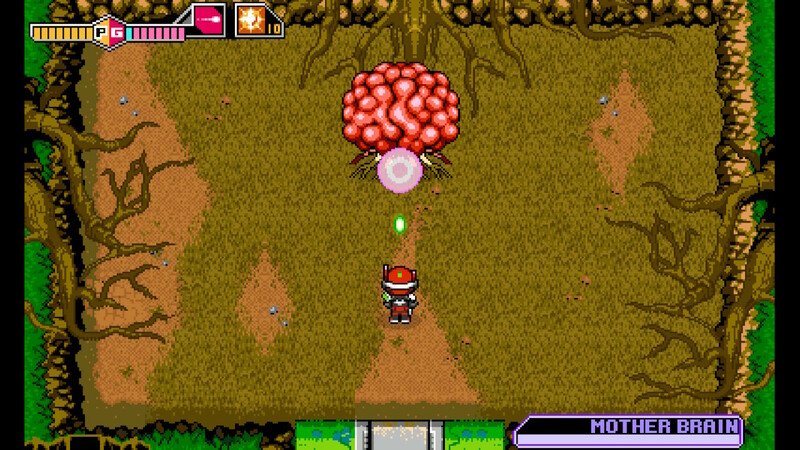 Rather than a fully-fledged sequel, Blaster Master Zero is a sort of remake/remaster of the NES game, in that it retains its retro art style but makes some tweaks and changes to its layout and general feel. For those not aware of the game (either in its ’80s form or this remake), you play as Jason, a young lad with a pet frog named Fred. Fred goes missing – in Zero it turns out he can create wormholes and travel through them – so Jason sets off to find him. The twist is that Jason isn’t simply headed off on his adventure unarmed, he’s doing so with the help of Sophia III, an agile little tank with more tricks up its sleeve than a magician wearing a trenchcoat. Much like the Switch itself, the game consists of three different playing styles. 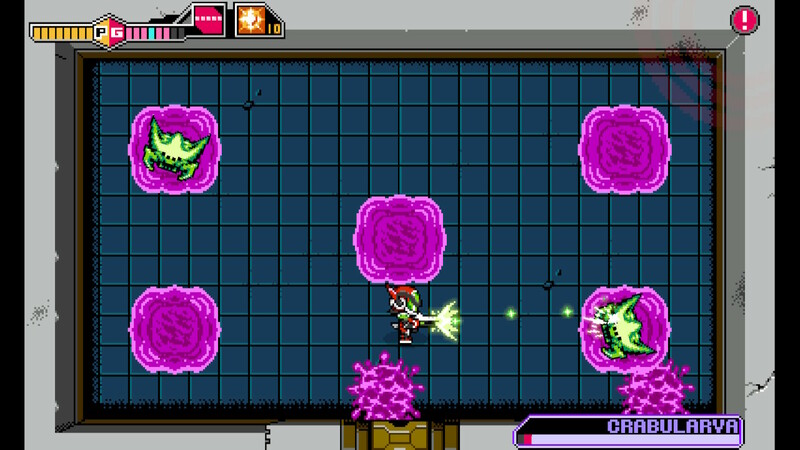 The main exploration sections have you controlling Sophia III in a Metroidvania style fashion, with an open map and the need to find extra powers to access certain sections. If you’re looking for a reference point, it plays a lot like a less linear version of Mega Man, with a similar look and feel. It’s a little easier than Mega Man though, what with being able to jump higher and fire upwards, and the fact that enemies drop health power-ups far more frequently. Riding a tank has one downside: it’s big. There are some points in the game where you’ll come across a gap Sophia III won’t fit inside. That’s where the second gameplay type comes into play. With a tap of the X button, Jason leaves the safety of his tank and can run around on his own. This lets you fit into areas you couldn’t before, but it also makes you far more vulnerable: he can’t take much damage and he can only fall a tiny distance (we’re talking Donkey Kong levels here) before he dies. Occasionally you’ll find little caves. Enter these with Jason and you’ll switch to the third gameplay type: a top-down maze shooter. These sections have been given more of a graphical revamp, with levels of detail that look more SNES-era. There’s a temptation among indie developers to make retro-style games really difficult to ensure they have that old-school feel. Although this is welcome to some, it makes it hard for other gamers to get involved. 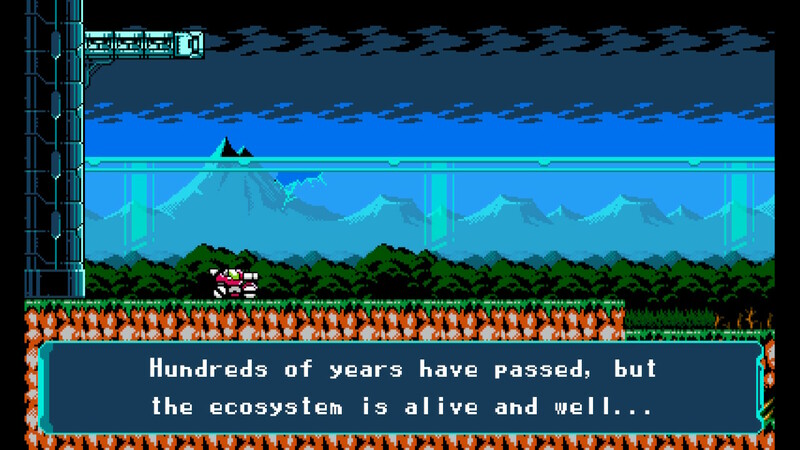 If you fall into this latter category, Blaster Master Zero is a good place to start. While it does have a couple of tricky moments, it’s by and large a game that doesn’t try to screw you over too much. Each enemy has a clear pattern that can be learned and exploited. Bosses initially appear tough but have weaknesses that are easy to locate. The game map clearly shows you where you’ve been, where you’ve yet to explore and sometimes where you have to go next. And if the idea of a Metroidvania game intimidates you, this is an ideal entry point for the genre because rather than one massive map it’s made up of individual levels consisting of smaller maps. It does have some flaws. The level design is a little dull, the cut-scenes are a bit charmless and while there are a few catchy tunes, much of the music is passable but forgettable. It also lacks Pro Controller support (though there’s a patch on the way to add it) and its advertised co-op mode is a waste of time: Player 2 simply controls a cursor which can be used to shoot at enemies lightgun style. It may not have the glitz and glamour you may expect from other retro-style games, then, but what it lacks in character it more than makes up for with solid entertaining gameplay. 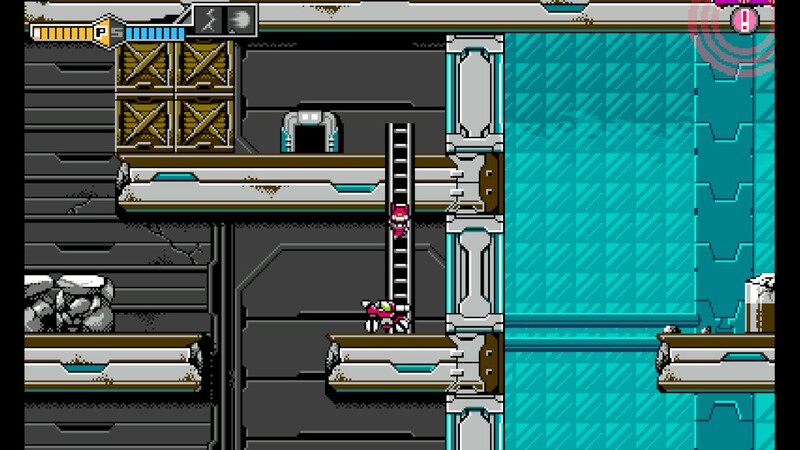 If you were a fan of Blaster Master, you already know you want Zero. Feel free to get it safe in the knowledge that it’s a faithful update of the original and doesn’t ruin what made it fun in any way. If you aren’t familiar with the series and just fancy some more old-school action on your Switch, you could do a hell of a lot worse than this. I may not remember any of the characters and I may not be humming any of the tunes in my head, but I enjoyed playing through it nonetheless. 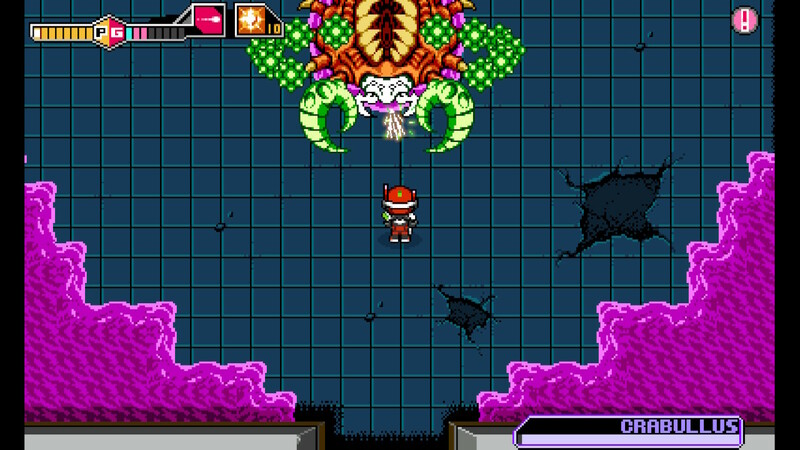 Blaster Master Zero is available now on the Switch and 3DS eShops, priced £8.99 / $9.99. This review was not based on a review code, I purchased it myself from the Japanese eShop (where it was released a week earlier) with funds provided by my lovely Patreon followers. If you enjoyed this review and want to help me write them more frequently, please consider donating to my Patreon account.